Ice, Milk, Brewed Espresso, Vanilla Syrup [Sugar, Water, Natural Flavors, Potassium Sorbate, Citric Acid]. 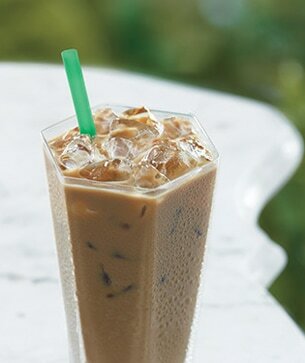 Classic vanilla syrup mixed perfectly with rich espresso and creamy milk, the Iced Vanilla Latte is a classic espresso beverage, just over ice. Sip one on a warm and sunny afternoon when you need a pick-me-up that also cools you down. Like coffee, the ultimate flavor and quality of the vanilla bean depends on the climate and characteristics of its growing environment.